This is a solemn Act of Law. You are about to undertake a new commitment and new responsibility, to take on a new status here in Australia and in the world. It is a status of which you may be proud, a status of a nation which is vigorous, independent and free. As Australians, you will be members of a community which is democratic and in which everyone has equal rights to liberty and freedom of opportunity. 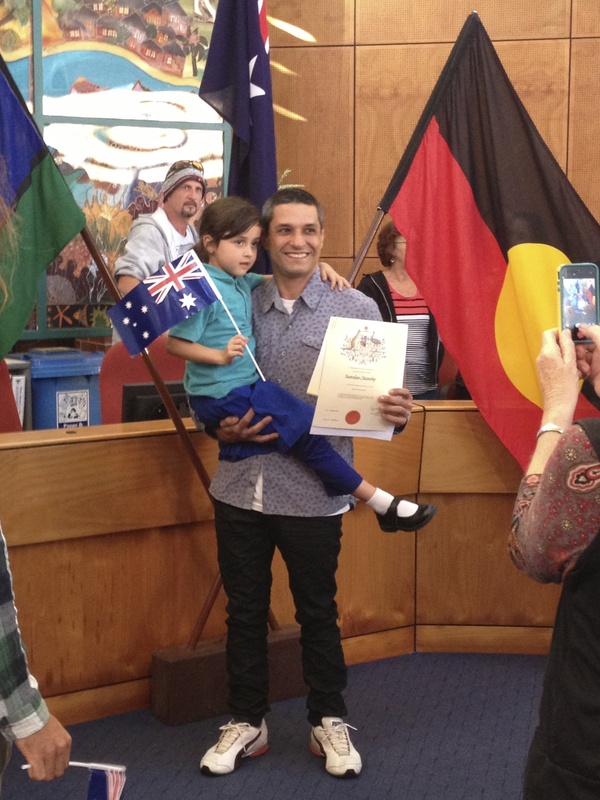 By becoming an Australian citizen, you are showing that you want to have a say in Australia’s future. Fundamentally, each of us needs to belong to a family or community, to share a past and to hold common hopes and aspirations for the future. No-one who applies for Australian Citizenship is expected to renounce cultural identity, customs or traditions which are a part of his or her heritage. The culture and traditions our migrants bring with them, including their language and religion, find a home in this multi-cultural, multi-racial society. Australian citizenship represents full and formal membership of the community of the Commonwealth of Australia, and Australian citizenship is a common bond, involving reciprocal rights and obligations, uniting all Australians, while respecting their diversity. (d) by upholding and obeying the laws of Australia. As you know, as Australia citizens you now have the right to enrol to vote at elections. You have an electoral enrolment form with your name and address already printed on it. When you sign it, your name will be placed on the roll entitling you to vote. At the end of this Ceremony, Michael Avery, the Australian Electoral Commission officer will help you if you have any further questions. 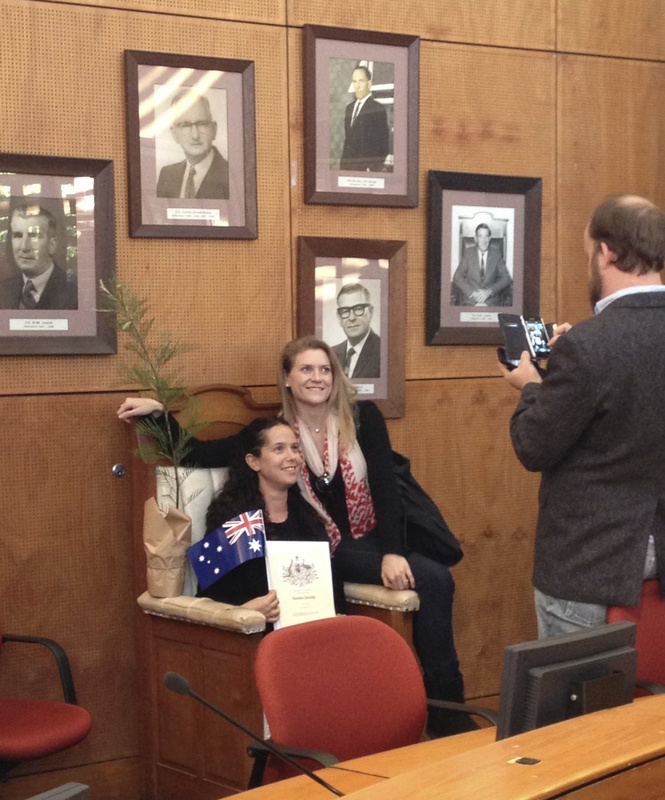 You are now citizens of Australia! – This means you are formally identified with this country, its people and its governments. The essential basis of Australian citizenship is equality before the law. Citizenship is open to all settlers on exactly the same terms, and once a citizen, there is no distinction between one and another, in rights, privileges or responsibilities. To each of us, Australia gives the opportunity to live and grow in liberty and to share in the common welfare. We have the obligation in return to fulfil our duties as good neighbours and good citizens in this community and in this nation. To join in and support community organizations and events, and give time to your community as a Volunteer is an important part of life in rural and regional Australia. There are many opportunities In this area and it is a rewarding experience. It is a great way to meet other local people and to learn of their Volunteer experiences and contributions. This makes our area an exceptional part of Australia to live in. As Australians, we belong to each other and our future success depends on the unity with which we work together for the common good. This Act of Law is now complete. I extend, on behalf of all, my congratulations and best wishes for a happy and successful future as citizens of Australia.